Are you sitting down? Because I have some great news! The scores are in and online video marketing has upset TV’s long standing advertising budget by $3 billion in 2016. That’s huge! 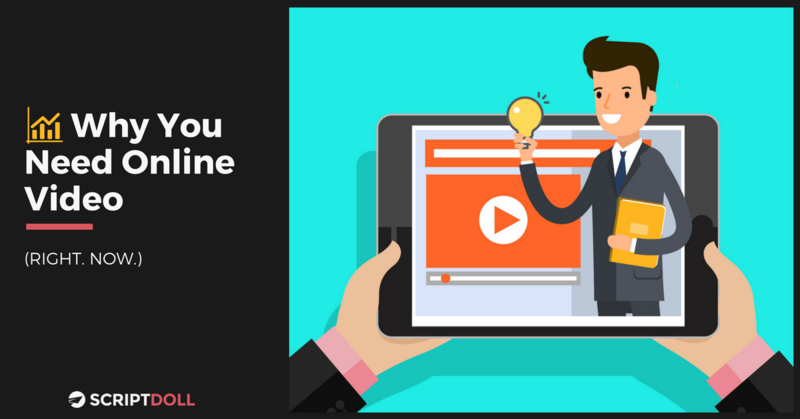 As online video continues to draw bigger audiences, you have the opportunity to earn so much more if you incorporate video into your advertising. In fact, did you know of all the billions of hours of video watched each month, 25% of them are video ads? You need to get in there and get your piece of the pie. Now that you know video gets more attention than hats on a Derby race day, are you rushing to hit record faster than Always Dreaming (the 2017 Kentucky Derby winner) ran? Don’t Want to Gamble on Your VSL’s Like You Do on Race Day? Instead, go for the sure thing and let us do the writing for you, making this as easy as possible. ScriptDoll is a software where all you have to do is enter in your business information and you’ll receive 8 tested video scripts. You’ll also get sales copy for email, ads, and more. New scripts are added monthly so you can create your own race (aka split test). What are you waiting for? The odds are in your favor, so go the distance for only $1 and hit record to claim your wins!